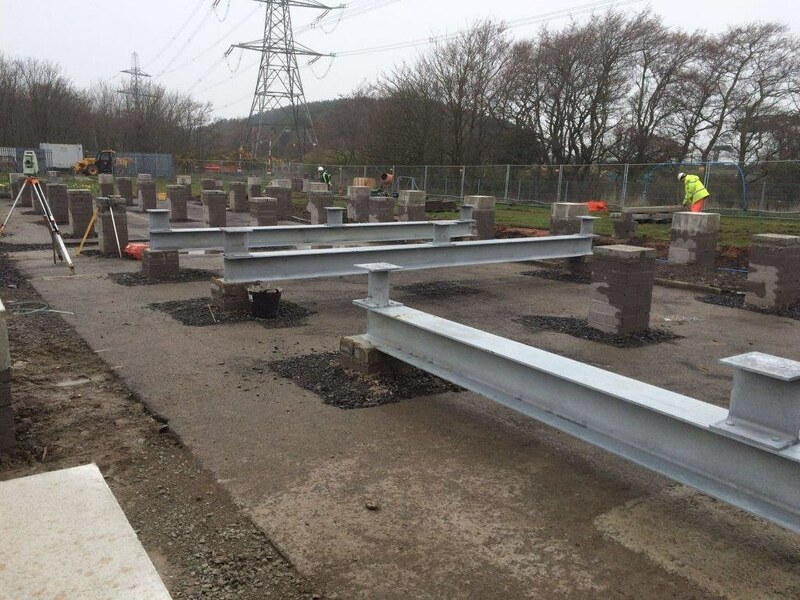 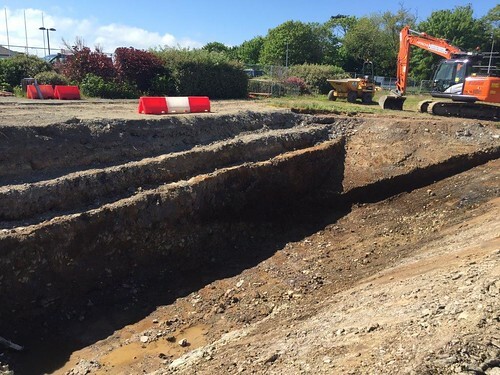 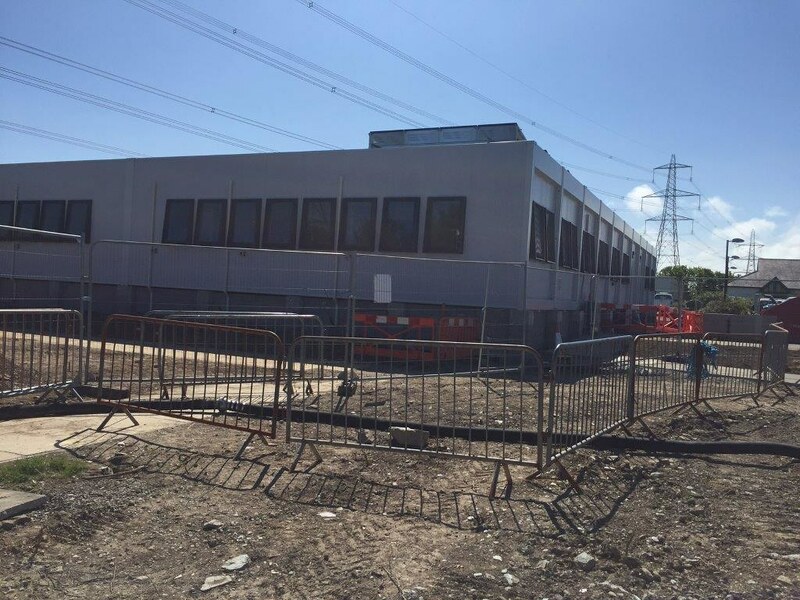 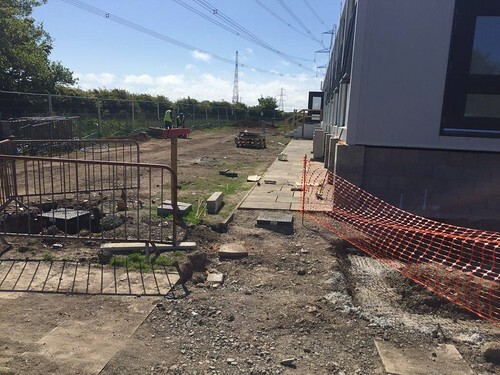 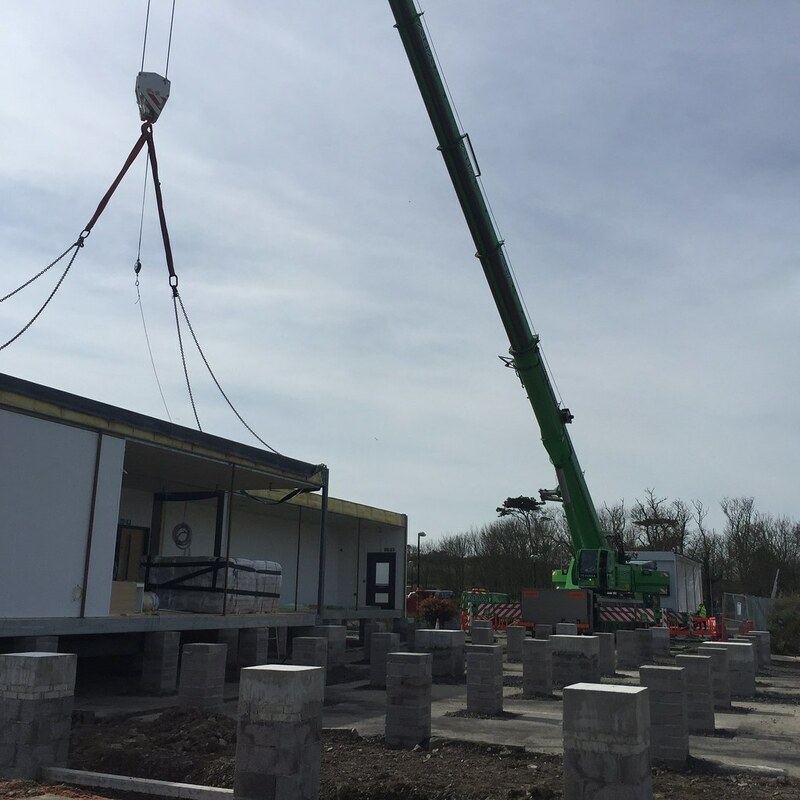 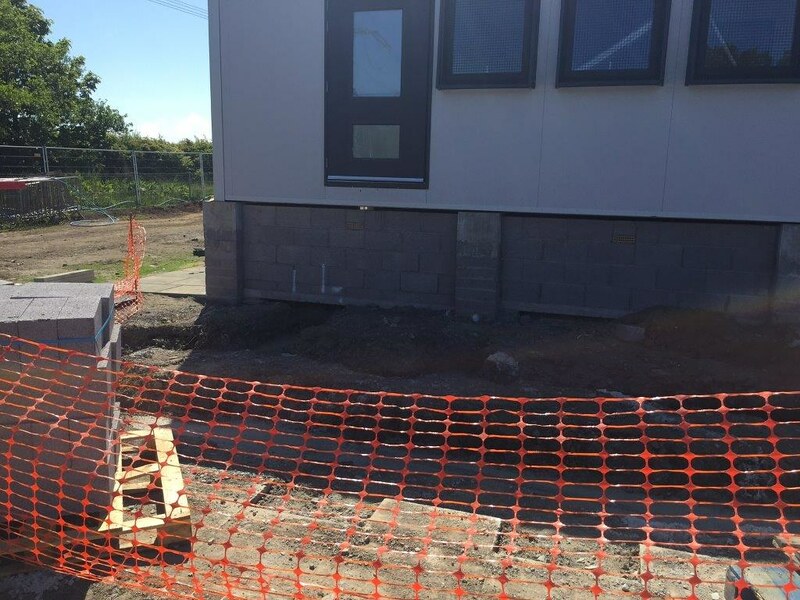 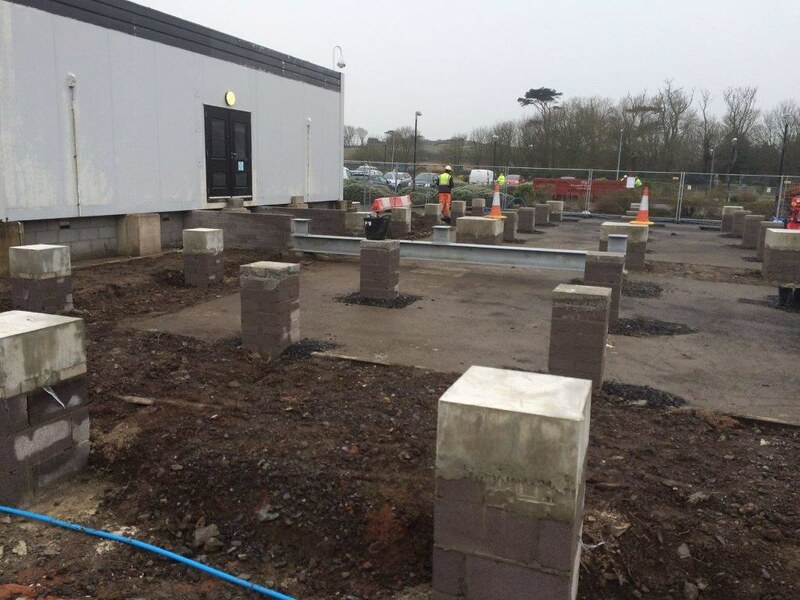 Work was completed 2017 for the extension of the existing Horizon Nuclear Power Wylfa Newydd site office; work carried out included all groundworks associated with the installation of prefabricated units to extend the overall footprint of the office. 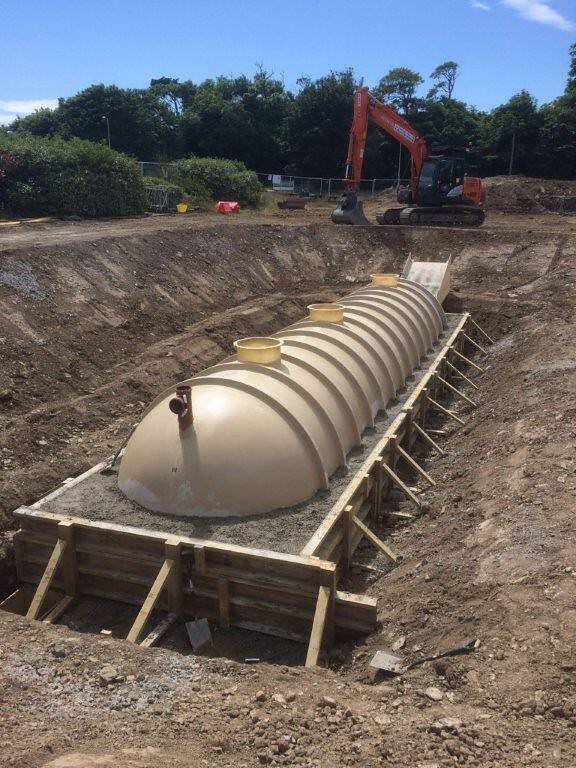 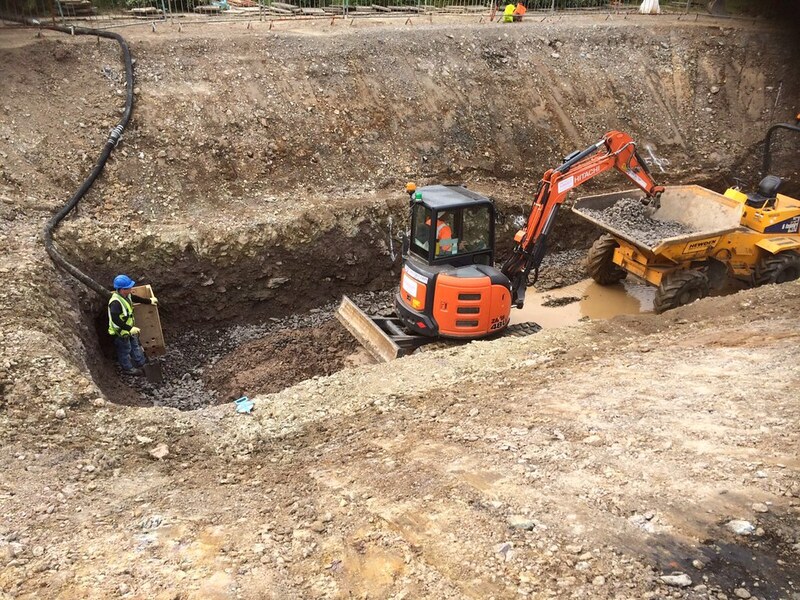 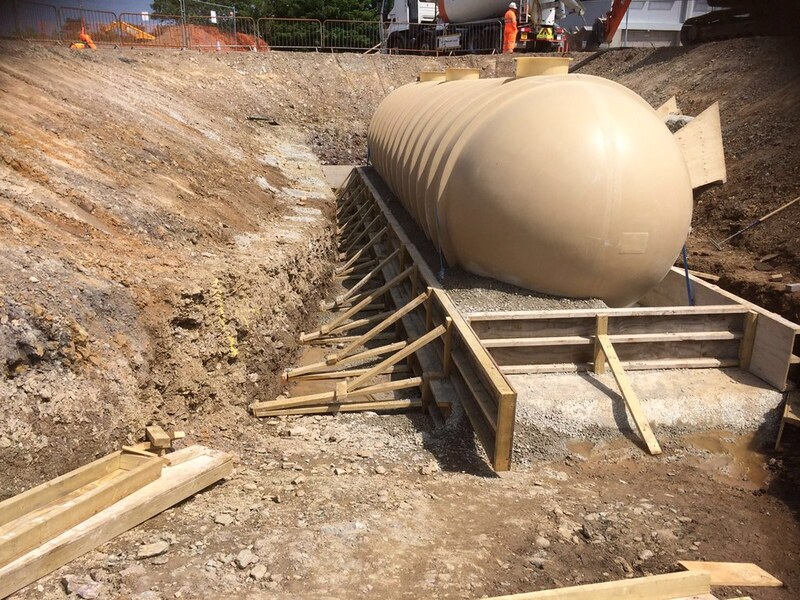 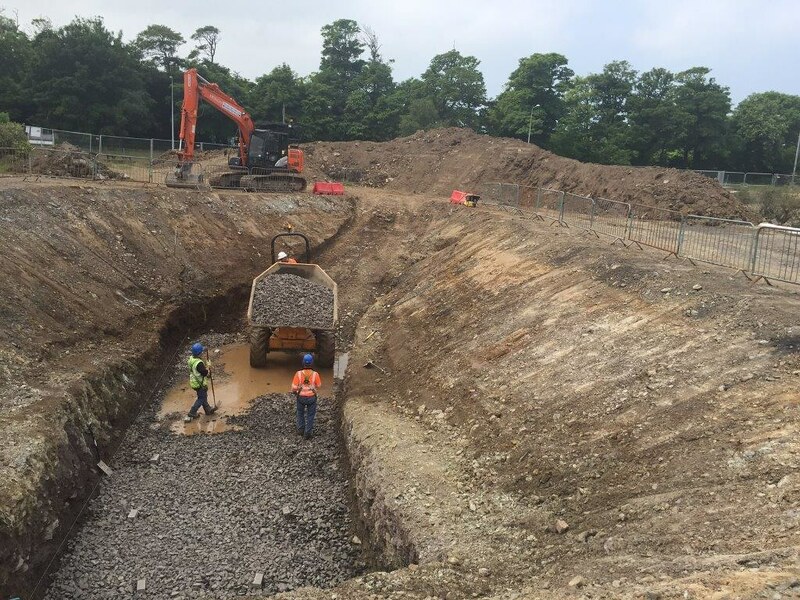 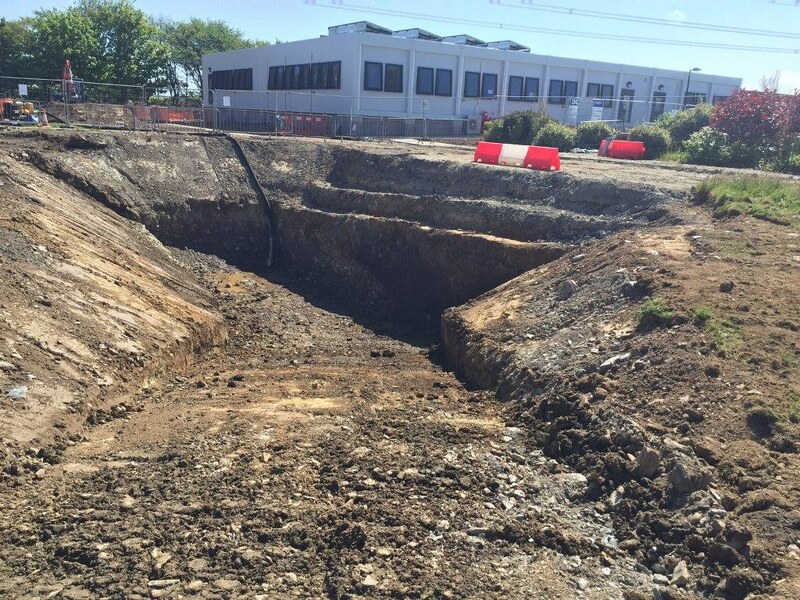 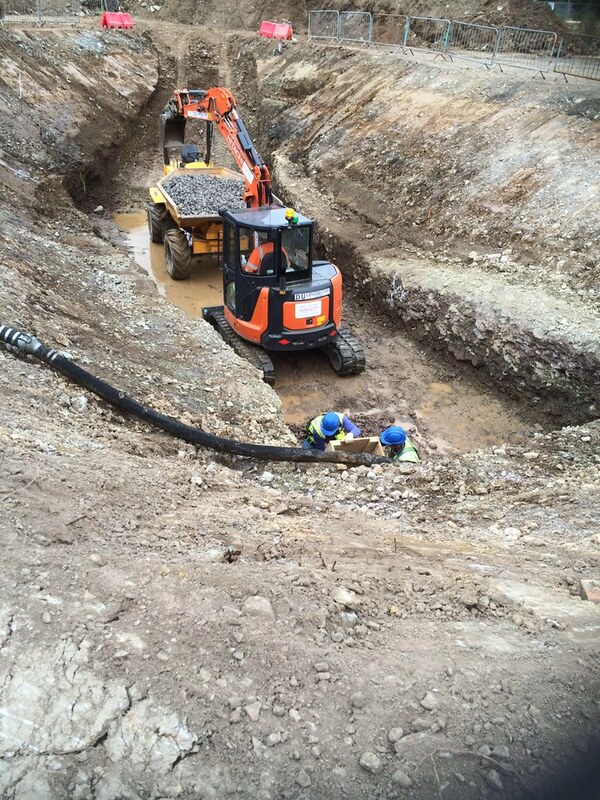 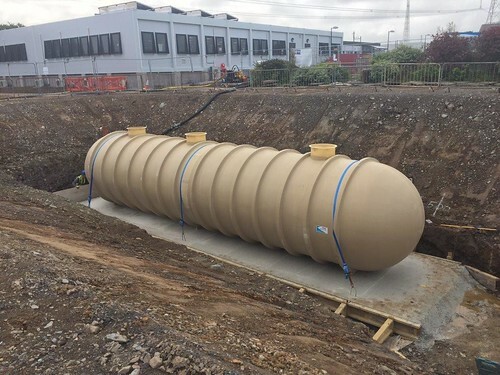 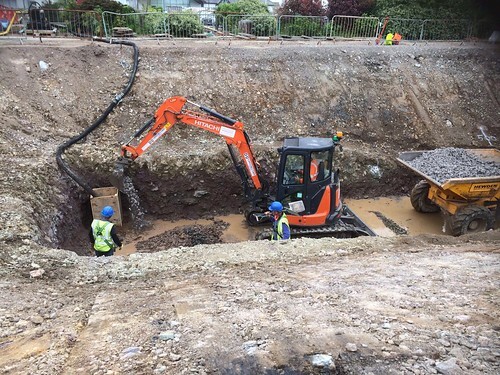 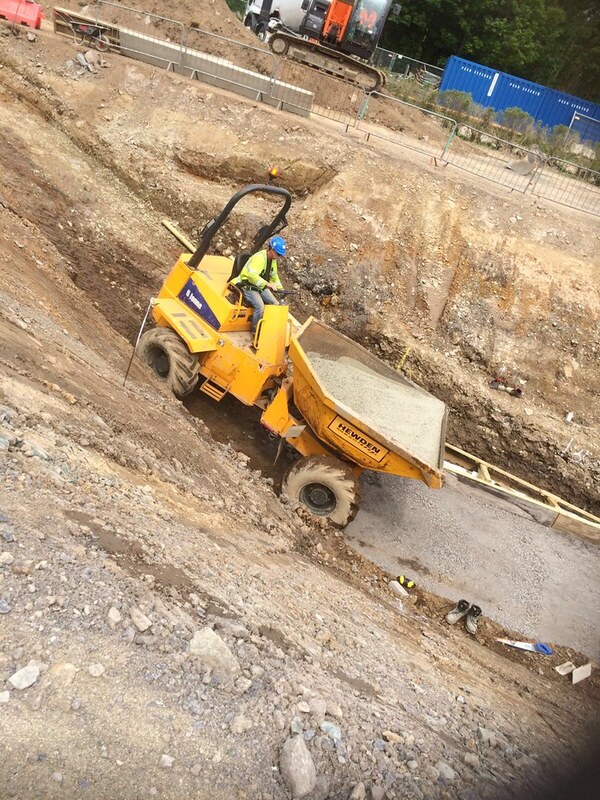 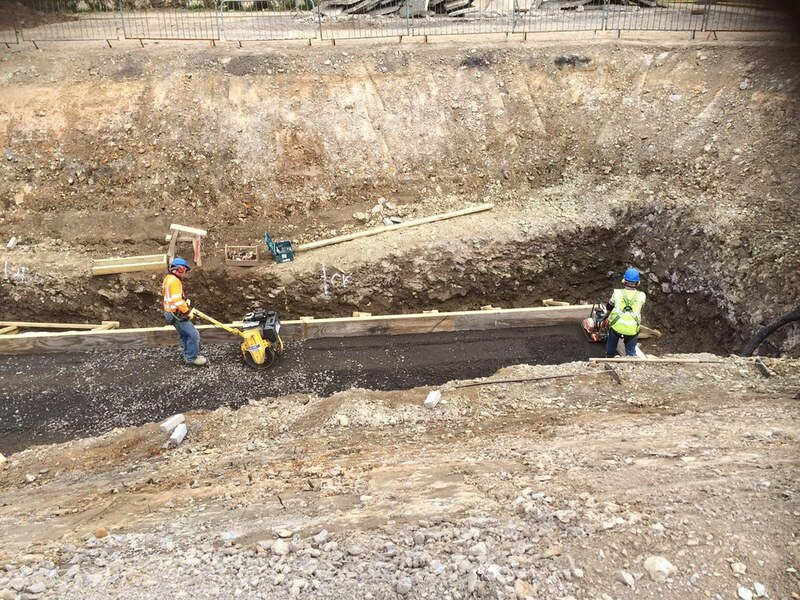 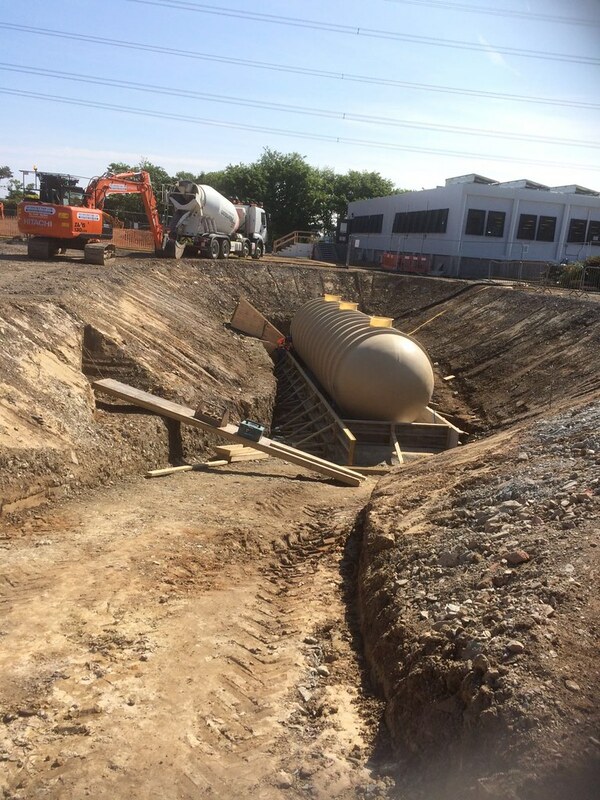 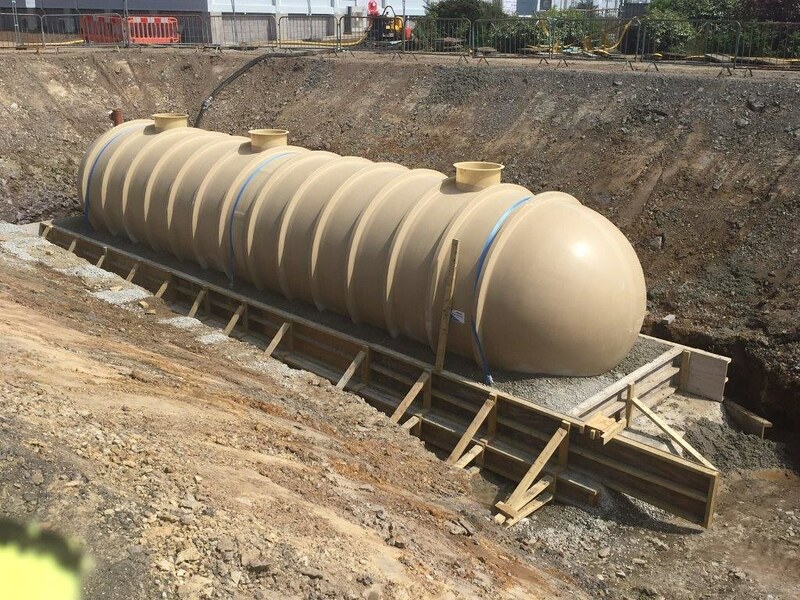 The installation of a 62,000 litre cess pit with all temporary works designed and carried out by ourselves. 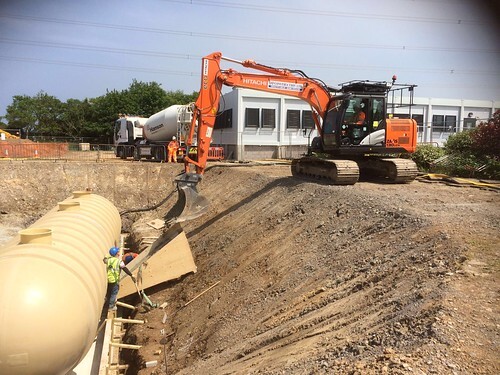 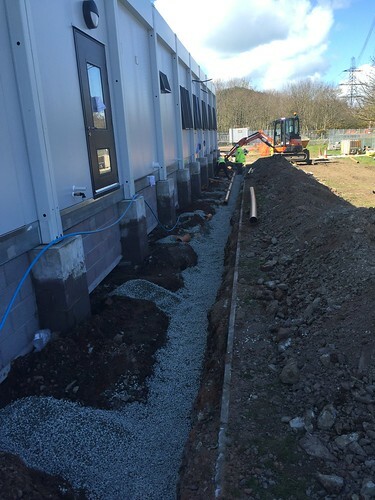 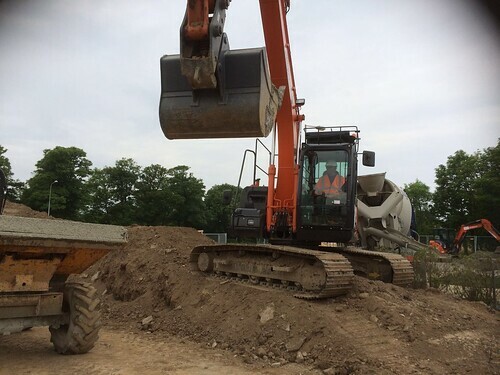 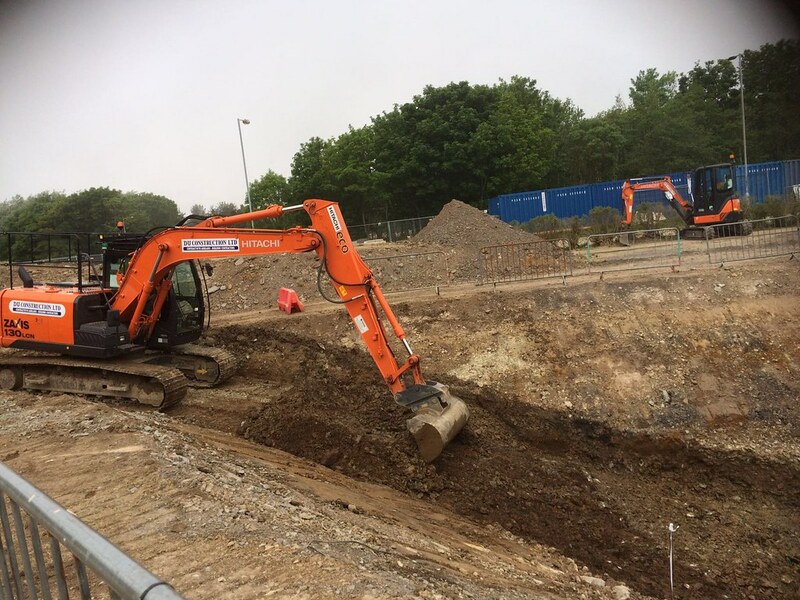 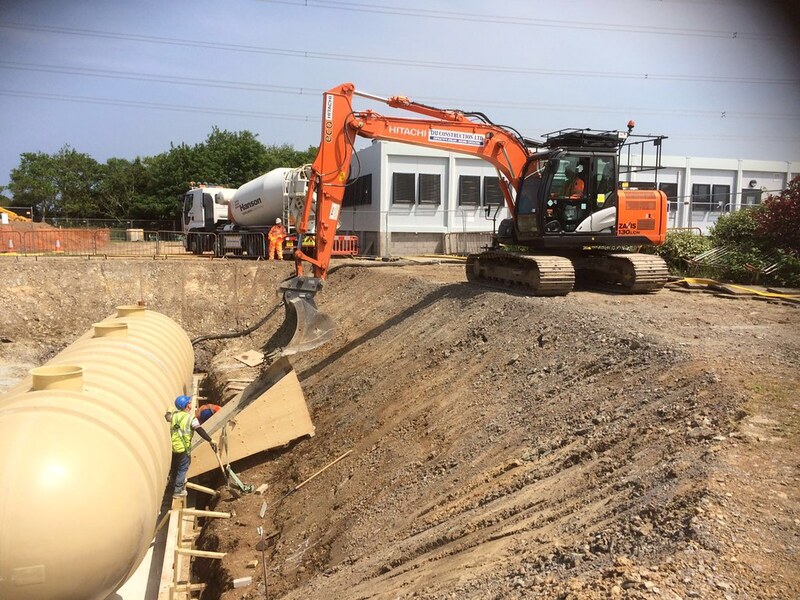 All excavation work, concrete design and pour for the ground-level base of the new offices units to be installed onto, all blockwork for pillars and all associated ground work , steps and landscaping. 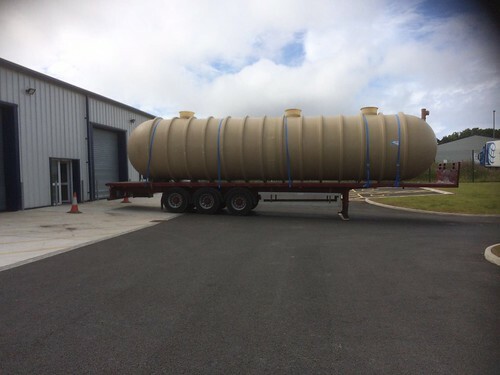 This project was carried out on a design and build basis for Elliott Group Ltd on behalf of Horizon Nuclear Power. 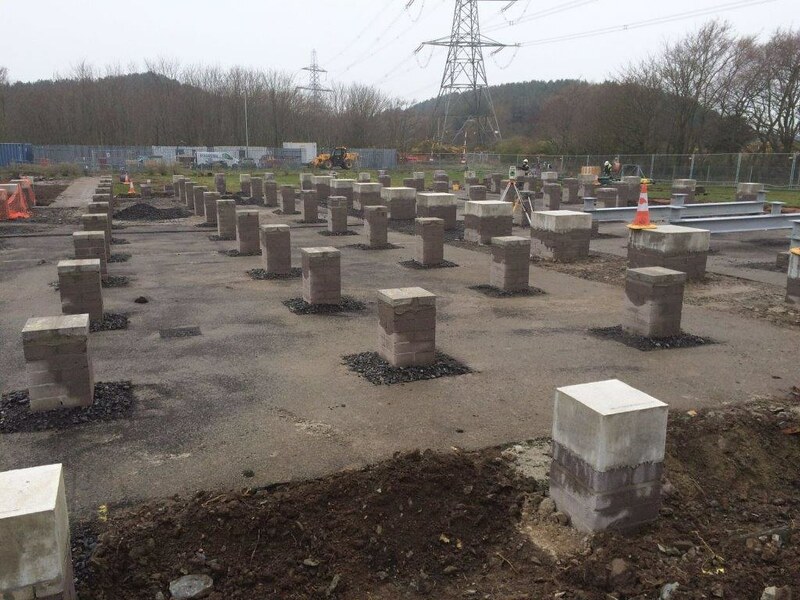 The programme was completed on time and within budget. The offices are now occupied by staff from Horizon Nuclear Power.